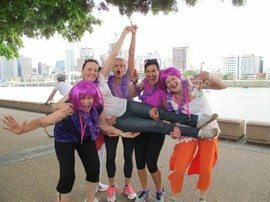 Enjoy Brisbane's First Choice Team Building Activity From the City to Southbank. 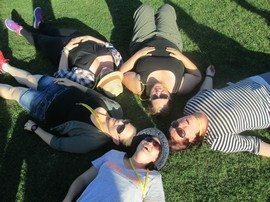 The Amazing Race is rightly known as the great “all rounder” of team building activities – it is simple, fun and enjoyable with fantastic activities. It suits large or small teams, any level of fitness and creates just enough competition to make the result interesting. Amazing Race challenges the team’s approach to planning, creativity, ingenuity, trust and teamwork in a single fun event that gets rave reviews from all types of teams. 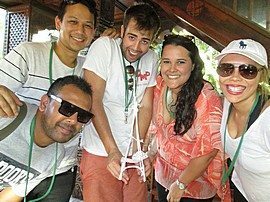 More closely resembling a scavenger hunt than the popular TV show, clients tell us every day that the Amazing Race was perfect for them and talked about for months. Many send their colleagues afterwards, proof positive that this team building event has ticked every box. This course starts in the City Centre at Anzac Square, heads to King George Square for some checkpoint activities and continues a traditional city scramble style activity all the way to Southbank. This course has an easy, flat walking distance of around 4kms. and 2 – 5 friendly, experienced facilitators. It generally takes around 2.5 hours, we can shorten by 15-20 minutes if required.